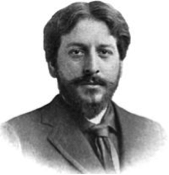 Richard Hovey was a 19th century American poet, dramatist and translator who lived a tragically short life. 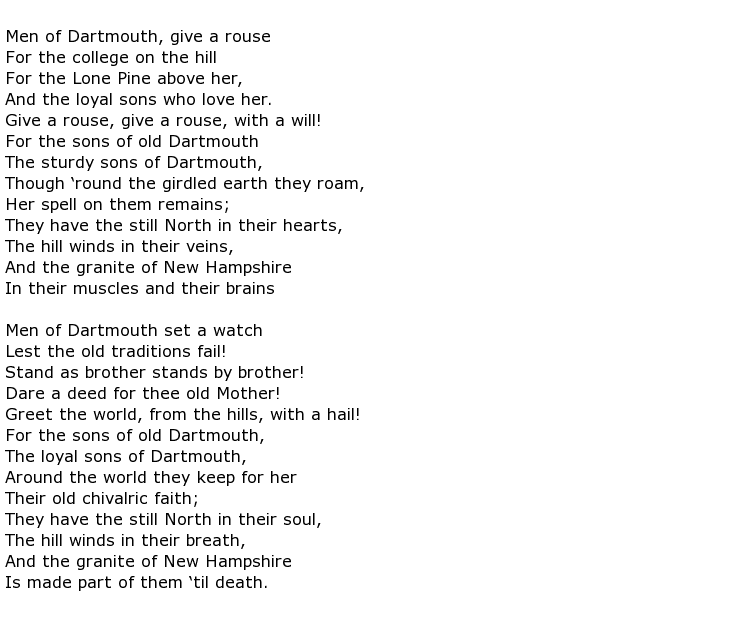 He was a student of Dartmouth College, the famous New Hampshire Ivy League college, and he had the honour of being the writer of the school Alma Mater, titled Men of Dartmouth. He was described in many quarters as quite a self-conscious man and it is believed that he tried to model himself, both in clothing and mannerisms, on Oscar Wilde. He was born on the 4th May 1864 in Normal, Illinois, into a military family. His father was the Union Army Major-General Charles Edward Hovey. When his father left the Army Richard found himself growing up first in North Amherst, Massachusetts and then in Washington D.C. before going on to Dartmouth. He was a talented poet even at an early age, having his first volume published privately when he was only sixteen years old. He graduated from college in 1885 and, within two years, he had forged a friendship with fellow poet Bliss Carman and the two collaborated on a number of writing projects. They invented a fictitious place called Vagabondia and wrote three volumes of so-called “tramp verse” on the subject: Songs from Vagabondia was published in1894 and two years later came More Songs from Vagabondia. The final collection, Last Songs from Vagabondia, was published shortly after Hovey died in 1900. He filled teaching posts at the Farmington School of Philosophy, where he lectured on aesthetics, and he was also a professor of English at Barnard College, Columbia University during the final two years of his life. But it was as a poet that he will be best remembered and the overriding impression that he gave with his writing was one of faith and optimism for a vital United States. Besides the above mentioned collaborations with Carman, he had a number of collections published under his own name. Examples are Launcelot and Guinevere: A Poem in Dramas, published in1891 and Seaward (1893) which was an elegy on the poet Thomas William Parsons. The last one before he died was Taliesin, a Masque (1900) but a further collection was compiled, called To the End of the Trail, and this was published in 1908, eight years after his death. Tragically Richard Hovey died at the young age of 35 after undergoing a minor abdominal operation on the 24th February 1900.